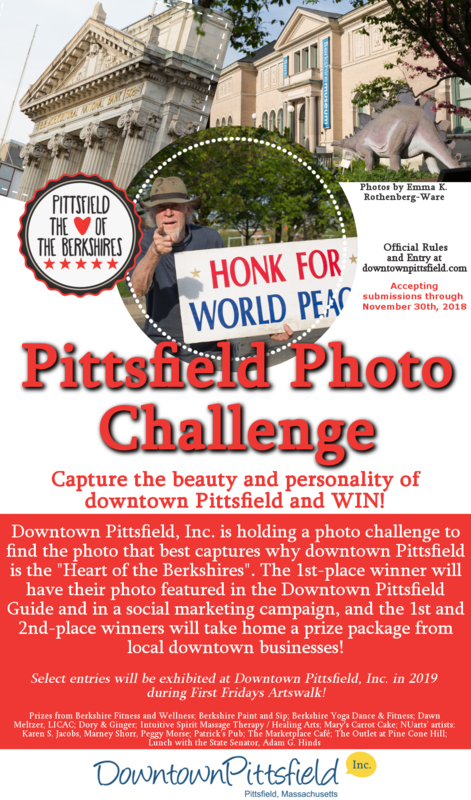 Downtown Pittsfield, Inc. is holding a photo challenge to find the photo that best captures why downtown Pittsfield is the “Heart of The Berkshires”. 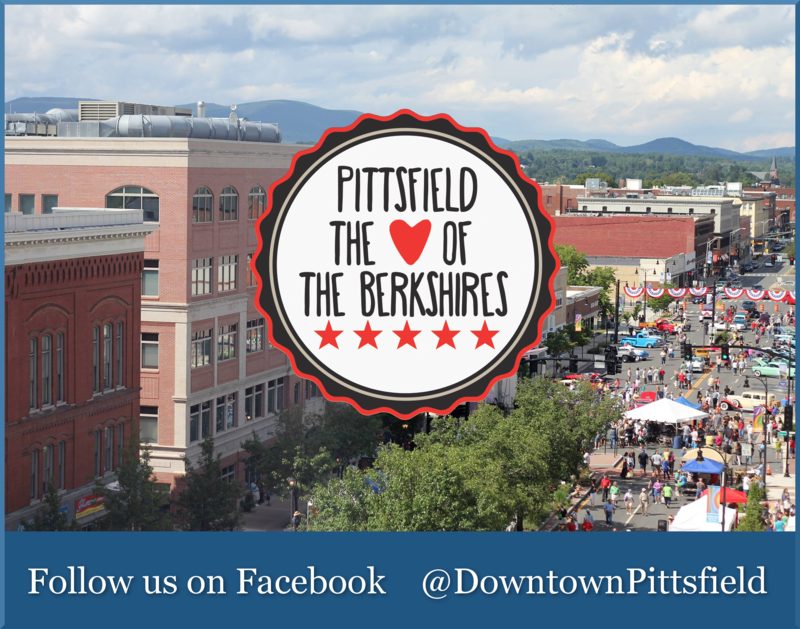 Entrants are encouraged to capture photos that showcase the beauty and personality of downtown Pittsfield, keeping in mind the theme “Heart of The Berkshires”. Creativity is encouraged! The first-place winner, as determined by a panel of local judges, will have their photo featured in Pittsfield’s 2019 Downtown Guide and a Downtown Pittsfield, Inc. social marketing campaign. The first and second place winners will take home a prize package donated by local downtown businesses. In addition, select entries will be exhibited at Downtown Pittsfield, Inc. in 2019 during First Fridays Artswalk (date to be determined). Downtown Pittsfield, Inc, will accept photo submissions through November 30th, 2018. Winners will be notified by January 7th, 2019. Downtown Pittsfield, Inc. retains the right to use all photo submissions in our marketing and on social media, as well as the right to display and advertise them during First Fridays Artswalk. All images used will be credited to their photographers and all entrants retain the right to use their photos after they are submitted. “Lunch with the State Senator” (for up to 4 people) with Senator Adam G. Hinds. Lunch can be in Pittsfield or at the State House – and if at the State House, it would include a State House tour. One acupuncture treatment by Dawn Meltzer, LICAC, acupuncturist in Lenox, MA. *Image must be taken in downtown Pittsfield. View map for approximate boundaries of downtown Pittsfield. *One image submission per person. No exceptions. Your first entry will be the only one considered for judging. *Entrants must fill out the following Google form and email their photo to Downtown Pittsfield Inc. Please clearly state your name as you would like it to appear in your email and on the Google form. Cheryl Mirer, Executive Director, Downtown Pittsfield, Inc.